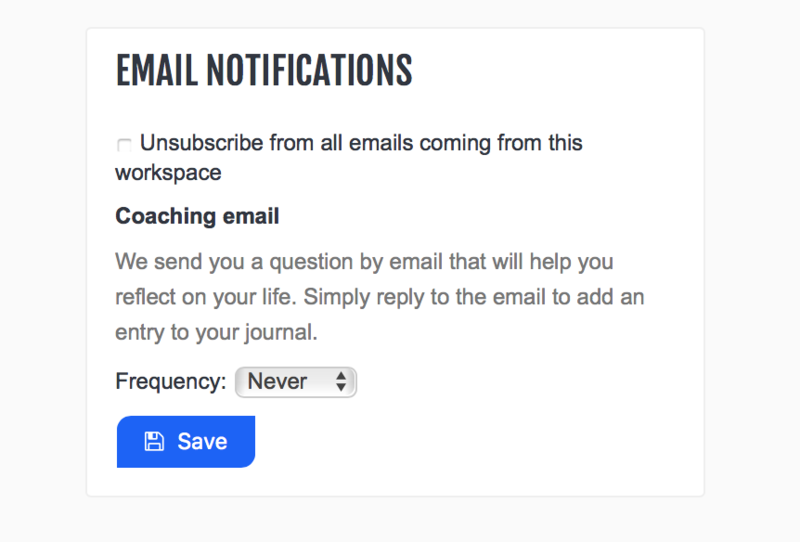 You need to be on the ULTIMATE plan or the PRO plan with the "Coaching emails" feature selected. You will receive an email with a question that will help you reflect on your life. By replying to the email, your entry will be automatically added to the WEEK PLAN journal. You may set the frequency of coaching email to Daily, Weekly or Never.